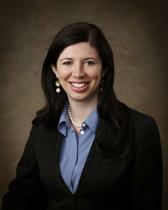 Annette Starling joined Daughtry, Woodard, Lawrence, & Starling in 2009. She has served as the Attorney for Sampson County, North Carolina. She is married to Joel Starling and they have a daughter and son.